Resistance or push pier systems use the weight of the building to push the piles into the ground until they reach bedrock. Whether they break from soil settling, roots, hydrostatic pressure, or plain old deterioration, concrete foundations don’t last forever. They will crack and make a way for water to get into the home, which is why waterproofing is essential. If you think about it, the rain accompanied by a broken foundation actually gives remedial waterproofers a job. 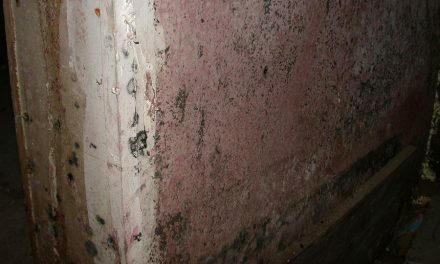 More importantly, it opens up a whole sector of the industry that many waterproofers haven’t even touched—foundation repair work. Andre Lacroix, president of StablWall Wall Bracing in Macedonia, Ohio, says he introduces many “strictly waterproofing” contractors to foundation repair work and they all say the same thing: “Wow, there is so much work that I have been passing up,” “People just need to take off the blinders and open their eyes to the possibilities,” Lacroix explains. “Not only can repair work make you more money, but it can make you more marketable.” You will be able to offer more to your customers to help them solve their problems. Hise explains that it’s better to consult with an engineer and do it right, than to install a system that doesn’t fix the real problem. Waterproofing misdiagnosis usually happens because contractors don’t see the whole picture or understand the whole picture. 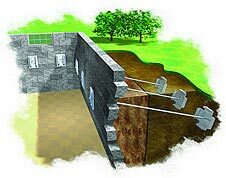 Usually, a foundation has to be inspected inside and out to determine the reason for the water in the basement. If the contractor doesn’t go outside, he may miss the grade sloping toward the house instead of away from it, or the puddle where the gutter dumps water when it rains. The same rule applies when inspecting structural problems in a house. A crack in a poured wall doesn’t reveal too much about the real problems with the foundation. Hise suggests looking for vertical cracks on the adjacent walls. This could mean there is a settlement problem instead of hydrostatic pressure. “You have to be a detective and look at all walls of the basement to get the whole picture,” says Hise. 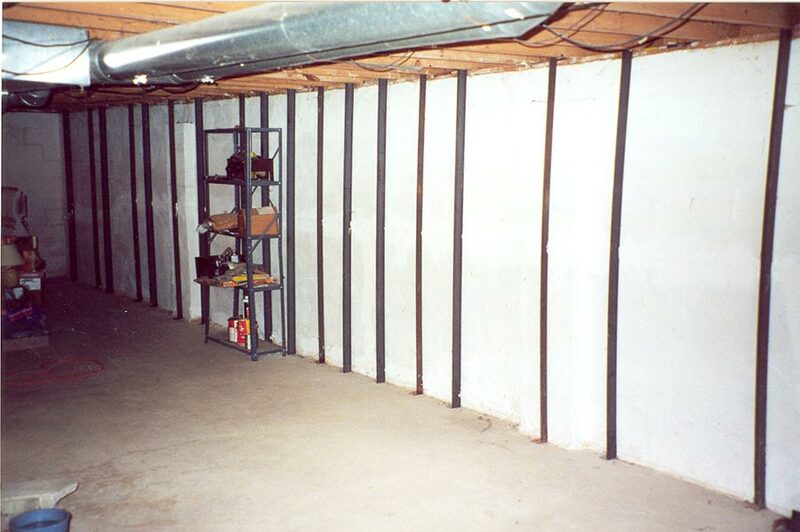 People usually use their basements as storage covering the walls with their stuff. The most typical problem in foundation walls is cracks. Concrete can’t help but crack. It naturally expands and shrinks with the changes in the elements. The soil around the wall is going through the same expanding and shrinking process with the weather—shrinking in droughts and expanding in floods. 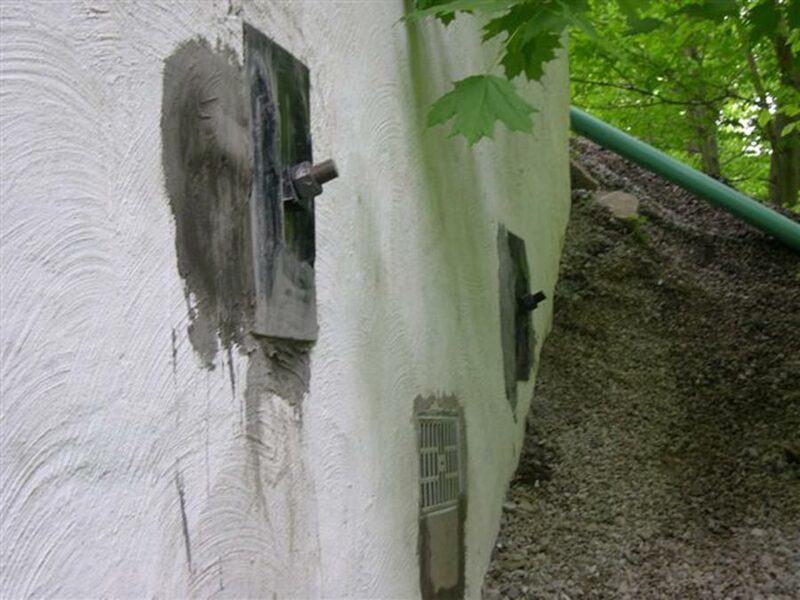 Tree roots, hydrostatic pressure, erosion, and settlement all cause cracks in foundation walls. 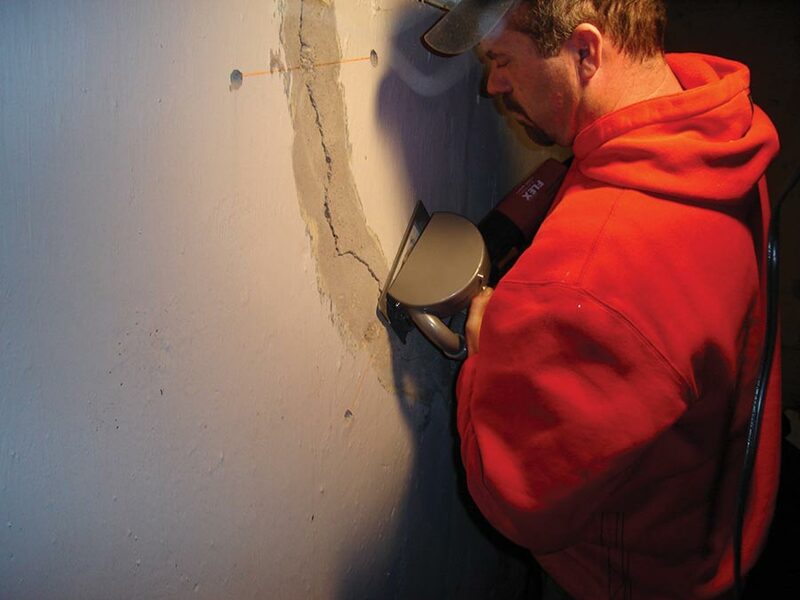 Because cracks are inevitable, concrete contractors place control joints in the walls and slabs. When the concrete does crack, it will be in a nice straight line, but control joints can leak. To repair cracks, controlled or not, the most common method involves injecting the crack with epoxy or a polyurethane-based material. 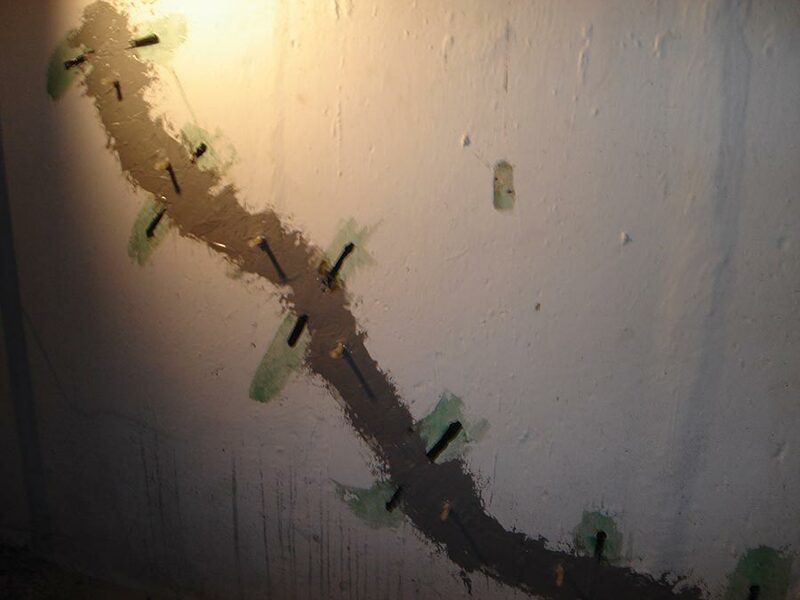 Epoxy mechanically bonds one side of the crack to the other, and actually adds strength to the wall. 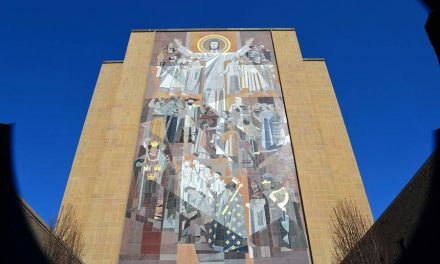 Because this method is designed to fix structural cracks, contractors often use carbon fiber technology with epoxy injection systems to enhance the strength of the wall. The contractor preps the area around the crack by sanding off any rough spots and paint. The carbon fiber staples are installed every two feet to reinforce the crack. This is often used with epoxy crack injection systems to prevent the mechanical bond from breaking. Carbon fiber staples are one common material; a two-inch band of carbon fiber placed perpendicular to the crack at two- foot intervals. Carbon fiber is also available in sheets, with the thickness and size varying by manufacturer. Polyurethane-based injection systems are not quite as strong as epoxy, but they continue to expand with the crack, making it a perfect system to stop leaks. 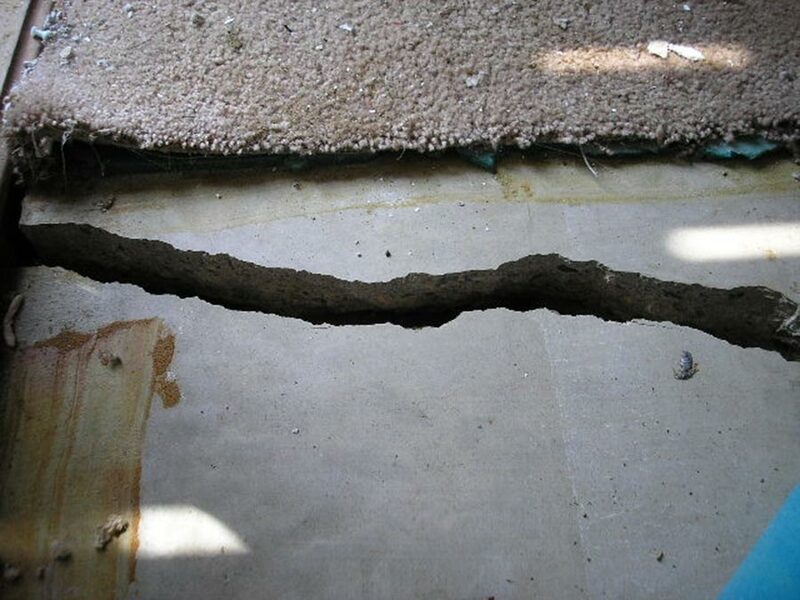 Actually, over 95% of residential basement cracks are non-structural, with water seepage as the only problem. In these cases, while epoxy will work extremely well, all that’s really needed is a polyurethane system to fill the crack. Choosing a crack injection system, however, is not a simple choice between epoxy and polyurethane. 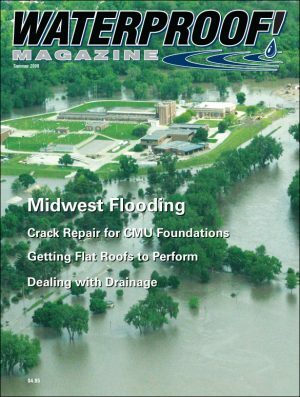 More than 500 different basement crack repair products are on the market, which can be a little overwhelming. “It’s like being fed with a fire hose,” says Dan Jaggers of CL Support Services, LLC, who just attended a seminar on crack injection systems. There are products specifically designed for leak repair, hairline cracks, gushing water, filling voids in concrete walls, and other specialized uses. Poured walls are not as prone to bowing as masonry block walls but it does occur. Typically, a poured wall will crack before it bows, but it can happen. If the bow is only at the top of the wall, carbon fiber “kickers” are a useful remedy. Often times, they are attached to the framework of the house so the foundation is depending on the house instead of the house depending on the foundation. Steel beam systems are also often used. This method involves drilling a hole into the basement slab then placing the steel I-beam on the footer. The contractor then pours fresh concrete around the beam to anchor the bottom end, and braces the top of the beam against the floor joists. For serious bows in the middle of the wall, wall anchors are the most effective. Two basic types exist. The first is installed outside of the wall and driven into the earth at an angle of 12 to 20 degrees. The anchors will force the bow out of the wall. The second anchor system resembles the rock bolts used in mining and for retaining walls. A steel rod is inserted through the wall to the outside soil and anchored into place. Then, a steel wall plate secures the rod to the inside basement wall. This counteracts the hydrostatic pressure and fights the bow. 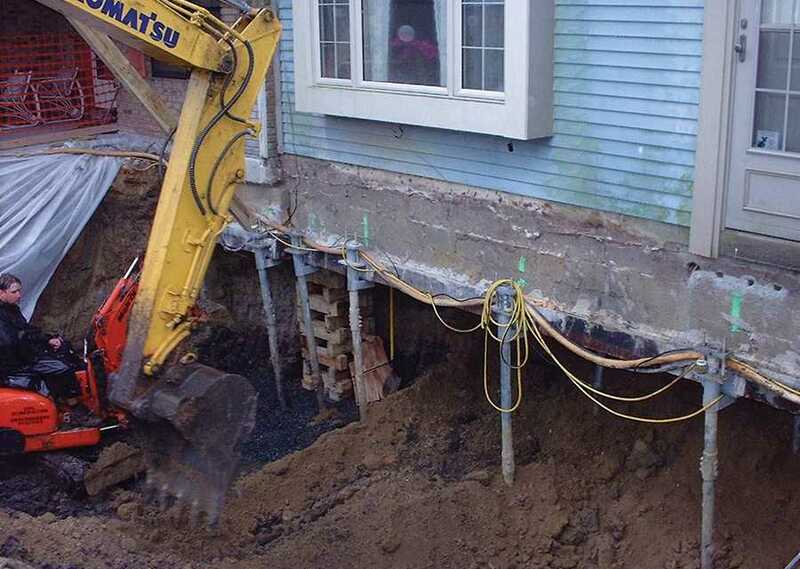 If the foundation has serious structural problems, underpinning is the best solution. Most repair contractors offer some sort of underpinning as a key part of their business. 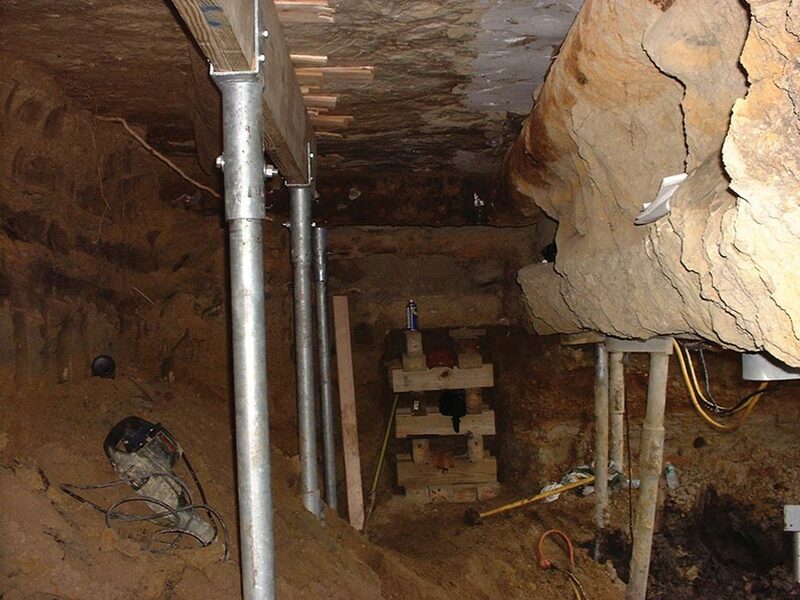 Underpinning, also called piling or piering, is the process of installing a system of steel, concrete or wood anchors to support a structure on unstable soil. 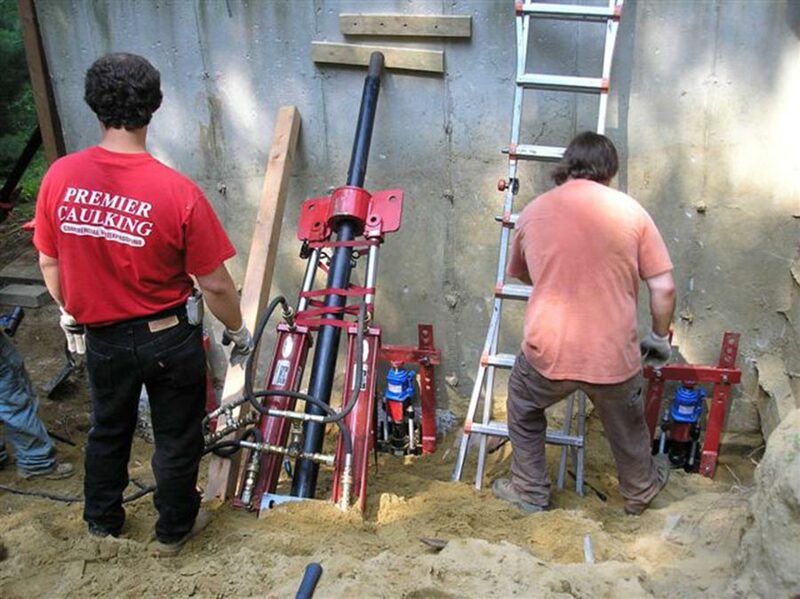 Drilled Piers: In this system, contractors drill a deep hole, place reinforcing steel then fill the hole with concrete. The new concrete piers are structurally connected to the home or foundation to prevent further settling. Steel Pipe Piling (Push Pier): This method uses the weight of the structure to push the piers into the ground until they hit a bearing surface—either a load-bearing level of the soil or bedrock. The pier is then capped off and permanently attached to the bottom of the foundation. The advantage of this method is that the contractor doesn’t need to know how deep to push the piers. When the weight of the house is insufficient to drive the piers deeper, that’s evident they can support the home. These types of piers are typically used for heavier structures but are also perfect for single story residential homes. Steel Helical Piling: Helical piers are typically used to support a structure and not to lift it. These types of piers are “turned” into the ground much like a corkscrew. Each pier has one or more “flights,” or wings, which pulls the pier into the soil. These flights keep the pile in place after it is installed. The advantage of helical piers is that you can use them on very light structures, like a porch. 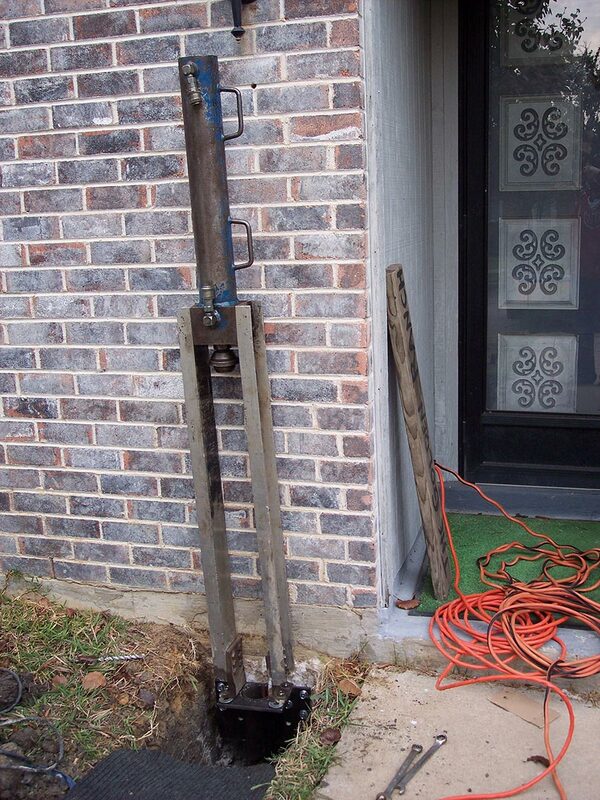 However, to install a helical pier properly, a soils test should be performed by a geotechnical engineer to determine how far they must be driven to support the structure. Segmented Concrete Piling: The piles consist of precast concrete segments, usually manufactured cylinders, which are installed one by one on top of one another, pressed into the ground by hydraulically jacking against the underside of the existing structure. Like, push piers, the weight of the structure is used to create the reactive force that allows the pile segments to be driven into the soil. The segmented piles can be interconnected by steel bar(s), threaded rod, or a cable that runs through the center of each of the concrete segments. Other systems use epoxy or another adhesive to bond the segments together. These four main systems can all be installed outside or inside the basement. If the system and equipment will fit inside the basement, it usually will save a day or two of labor to go through the basement floor instead of installing the system outside. Exterior piering typically means digging an eight- or nine-foot hole, cut back to follow OSHA’s regulations for trench work. 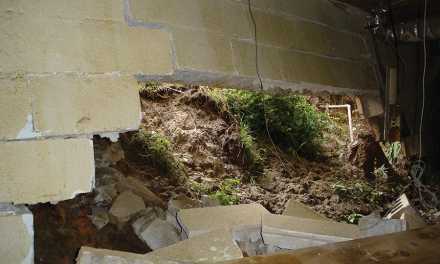 However, structural repair contractors can be busy fixing foundations regardless of rainfall. In fact, it’s often in the dry season when most foundations crack in the first place. and talk with manufacturers. Every manufacturer’s system is slightly different, and they may have a technology not discussed in this article. Melissa Morton, freelance writer and editor, has written for the industry since 2004. 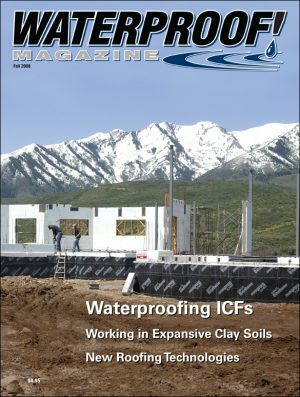 She is currently the newsletter editor for the National Association of Waterproofing and Structural Repair Contractors (NAWSRC), www.nawsrc.org. 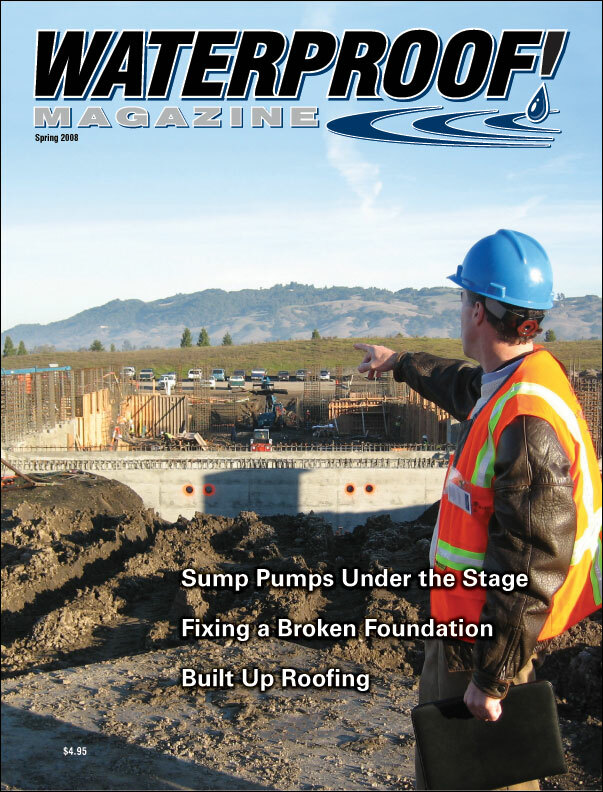 Many waterproofers expand into the foundation repair business. From minor cracks to major underpinning work, here’s how to determine the severity of the problem, and the products and techniques used for repair. 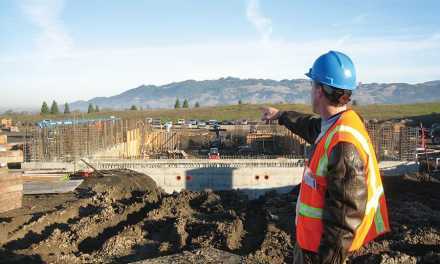 A significant portion of the new concert hall in Sonoma, Calif. sits below the water table. In order to keep the building dry—and the concert hall quiet—the building uses an innovative dewatering system. 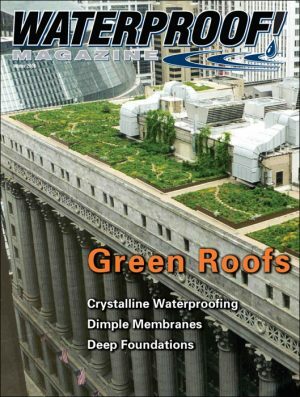 Considered the standard treatment for flat roofs, built up roofing is one of the oldest, most reliable, and overlooked methods.